The Promise: Fracking brings prosperity & jobs. Reality: Tens of thousands of oil patch workers out of work and $300 billion in liabilities. Our next guest is in the early stages of putting together a report called “Reclaiming Alberta’s Future Today,” or RAFT. 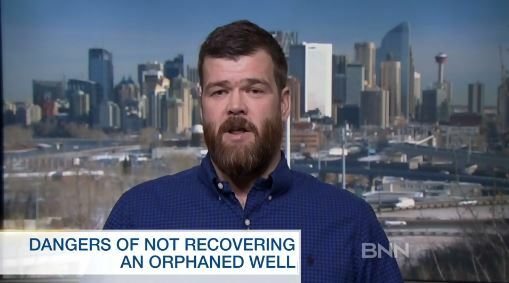 It proposes to put tens of thousands of people back to work cleaning up as much as $ billion worth of liabilities in Alberta’s oil patch — everything from leaking inactive wells to abandoned pipelines. We hear from Brent Nimeck, a former oil services worker. BNN: A group you’re working with has a proposal called the RAFT proposal to deal with this situation. Describe it for us. Nimeck: RAFT is simple. We’ve asked the provincial government to be proactive on this looming upcoming crisis of bankrupt oil and gas companies. Instead of being reactive, RAFT is proactive. To embrace this disastrous environmental legacy we have created over the last thirty years. And by doing so, we can put tens of thousands of Albertans that are out of work, back to work tomorrow. It’s not going to cost the taxpayers a single penny. … PSAC last year asked for $500 million from the federal government to start cleaning up wells, Brad Wall’s asked for $100 million to clean up his [Saskatchewan] wells. This is a polluter pays situation. By law in Alberta, the oil companies have to clean up their mess. So, we’re going to make them pay. 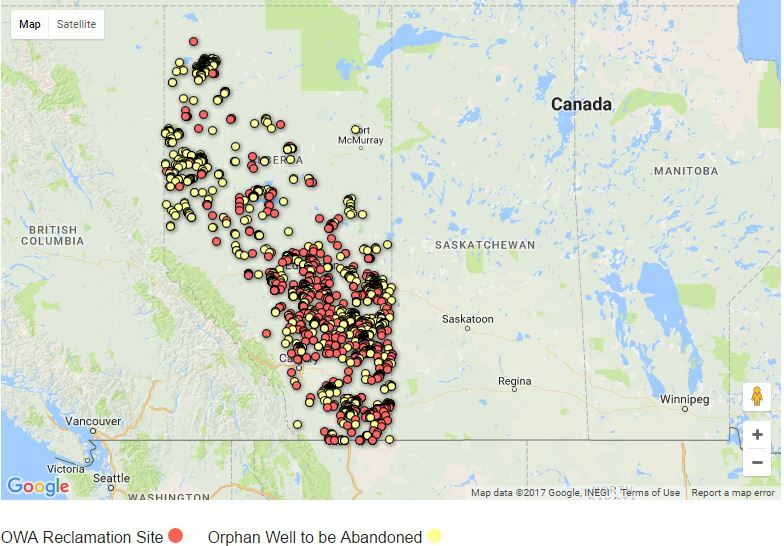 The Alberta Energy Regulator’s recent enforcement against Lexin Resources, placed a large portion of the company’s assets into the care of Alberta’s Orphan Well Association(OWA). Currently, in the OWA database, there are 697 wells under reclamation and 1590 wells to be abandoned–however that number will rise by several hundred after Lexin’s wells are added to the list. Click on map to access interactive map. Zoom in for location details. Click on wells for name of derelict company, etc.